Discussion in 'Archive' started by Yumi, Aug 2, 2018. It's been a long time since the last Attendance Check event, and many of you missed it! You can track your progress in a special window "Attendance Check". It appears every time you enter the game. Upon receiving a daily reward, item icon will turn into a red seal - it means that you have successfully received your daily reward. Be careful: you can receive only one daily reward on your account - keep that in mind and choose the correct character to obtain rewards with. In case you accidentally closed the Attendance Check window without claiming your reward, you can recall it from the Main menu → Attendance Check. After the 4th week ends, the event cycle starts all over again from the 1st week rewards. Only the characters level 85 and above can take part in this event. Awakening status does not matter. You can get a reward after spending 30 minutes in the game. There will be a timer, which starts to count down when the character is in the game. Thus, the time spent on the character selection screen is not taken into consideration. If a character leaves the game, the timer is reset to zero, which means that a player shall stay in the game for the next 30 minutes. Time until the moment when a player can get a new reward is reset at 06.30 A.M. server time. If player skipped one day of the event and did not enter the game, at the end he would not receive one reward (27 from 28). 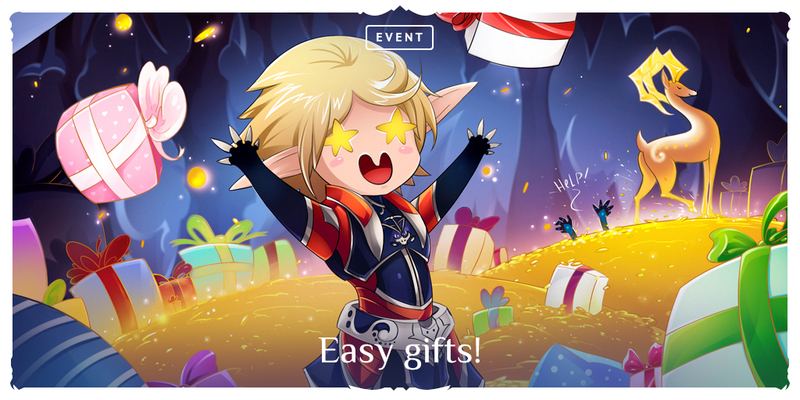 For example, a player received reward #1 on Wednesday during maintenance and then he did not play on Thursday, so on Friday, he would get reward №2 (instead of #2 and #3 for two days). A character cannot get a reward in case of excess weight or inventory slot excess. The reward is available once a day to only one (any) character on a player’s account. XP Runes III 50% and 100% do not stack. The reward is limited to the server - you cannot get the reward within the same account on both servers. To equip the Agathion - Joon Charm you'll need to equip Seed Bracelet or another Agathion Left Bracelet. Seed Bracelet can be purchased at the Dimensional Merchant NPC for 500 000 Adena. All rewards obtained during the Attendance Check event will remain on the servers even after the event has concluded. Do the XP runes stack with the 200% rune from the L2Store? Other than that, nice event. Thank you. If L2Store runes have 'III' in the item names, then they do not stack. Im happy for the 23 Agathion rework from some NCSoft Agathions introduced years ago, it's a really good XP item, HOWEVER, the fact that it's not available from the start of Double XP to benefit from it fully was in my opinion mismanaged. Thanks, DIL. Yes, I was talking about the 200% level III rune in the high-grade rune set. do growth amulets work if there are more then 1 in inventory?